Interior view of the Mortlock building from near the north entrance to the first floor, looking toward the Charles Todd clock. Copies of this image may be made for private research or study. You may order a high quality photographic copy. 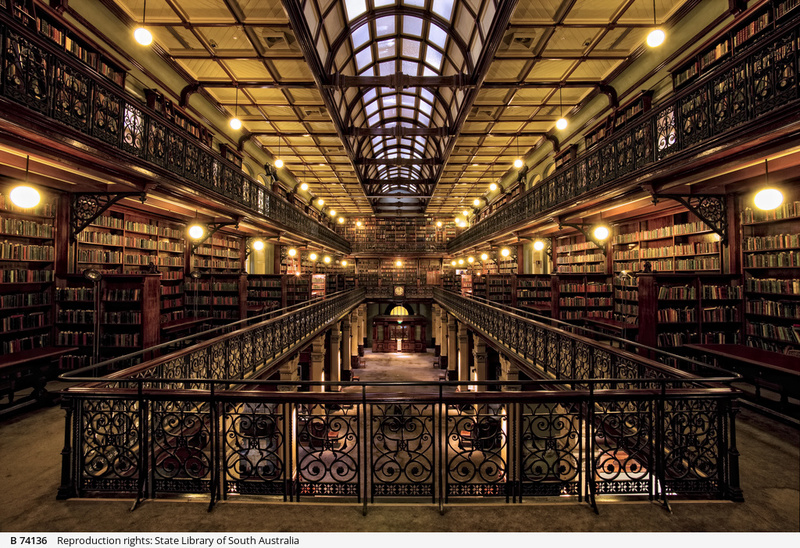 Any other use requires permission from the State Library of South Australia.